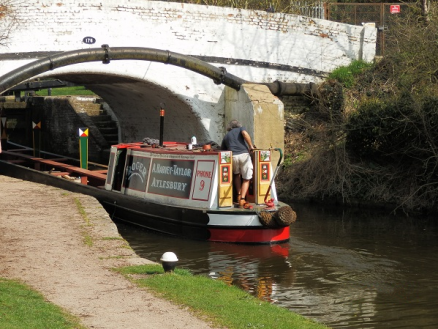 Conserving the Roger, a truly historic working canal boat, is one of the Trust’s most demanding tasks. One of the last 20 or so wooden narrow boats left in working order, Roger is our main heritage asset and plays a key role in our education programmes. See here some more detail of Roger's background. and a short film of recent significant work done to her in 2012. You can also view a video here of the inital lifting of Roger out of the canal at Rickmansworth at the start of its original restoration. Read here our booklet. explaining something of the history, operation and present role of this famous boat. You can get involved in looking after, presenting or using Roger by e-mailing fabian@rwt.org.uk; or you can donate to this major conservation project.